Weasel tracks left in a footprint tracking tunnel (background removed). Weasel footprint tracks are oblong and small hair marks are sometimes visible between the toe pads. Toes 2 and 3 on the forefoot are often close together. 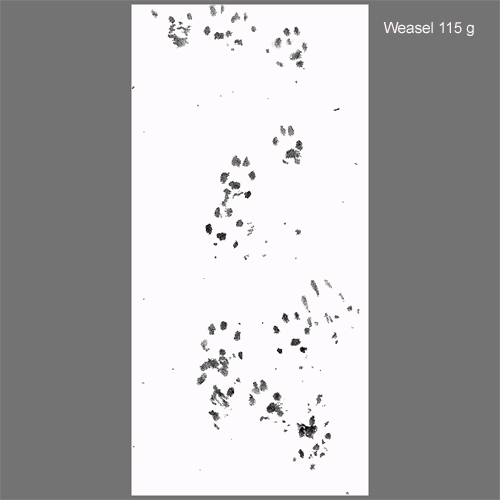 Weasel footprints will typically be smaller than stoat footprints, but there is overlap especially with juvenile stoats. Evidence other than footprints will be needed to confirm the presence of weasels.